Travelling solo in Africa may sound like a daunting adventure to take on, but have no fear we're happy to put your reservations at ease. Group tours ensure that your safety and enjoyment is priority, and one of our fantastic partners, Explore, ensures that your trip to Africa is a safe and enjoyable one. Always obtain the appropriate travel insurance from your travel advisor! Here are a few examples of great trips to join as a solo adventurer in Africa, where you can enjoy the camaraderie of fellow travellers & the safety of group travel! 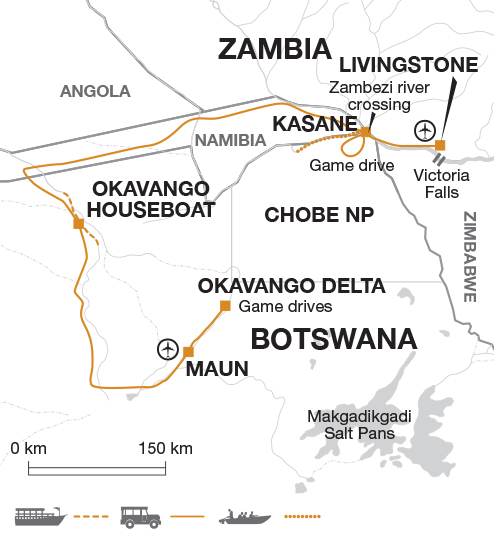 On this safari you will travel through Botswana and Zambia, exploring Chobe National Park and the vast Okavango Delta. 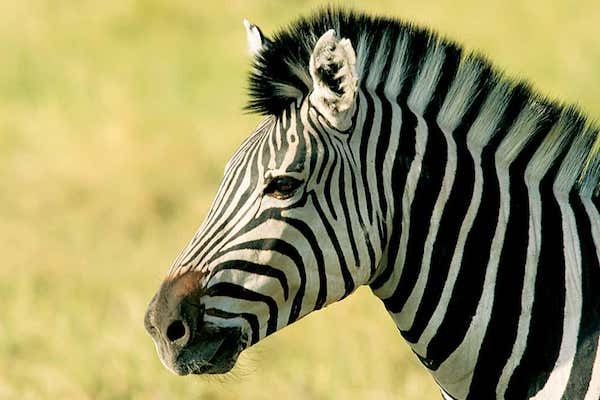 You will search for wildlife including elephants, zebras, buffalo and giraffes. Swapping land for water you'll stay on the Okavango Panhandle aboard your houseboat, searching for hippos, crocodiles and other wildlife. You will end your trip in Zambia, visiting the thundering waters of Victoria Falls. 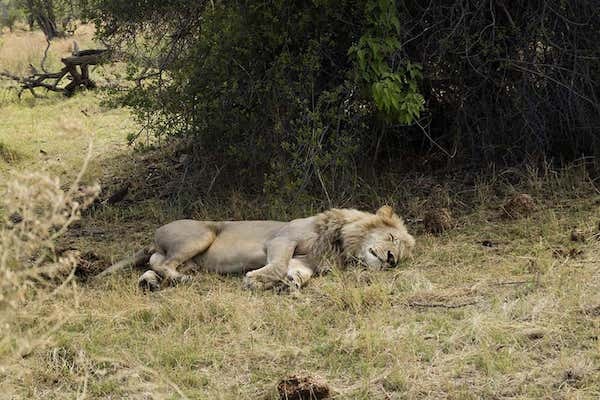 Comfortable Lodges - The finest game viewing from comfortable hand-picked lodges. Okavango Delta Panhandle - Spend two nights on a houseboat and explore the most prolific inland delta of Africa by boat. 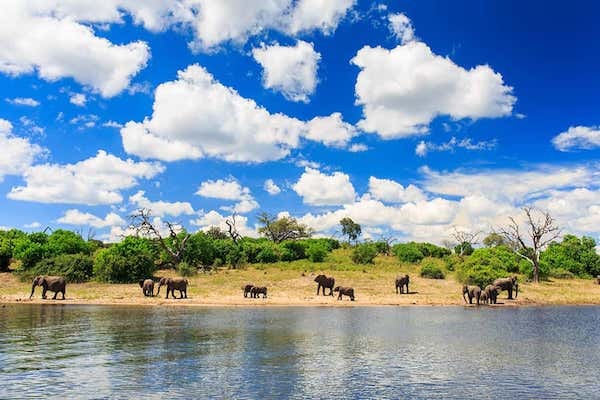 Chobe National Park - Discover the stunning wildlife that inhabits this fine reserve, renowned for its big herds of elephants. Victoria Falls - Visit one of the natural wonders of the world. Flanked by the Indian and Atlantic Oceans, the Western Cape boasts incredible beaches, beautiful mountain ranges and unparalleled botanical splendour. This tour takes in South Africa's highlights as you journey from Cape Town, through the winelands of Stellenbosch and onto the scenic Garden Route. Along your way, you will encounter penguins at Boulders Bay, breeding whales in Hermanus (from June to September) and game in the Botelierskop Reserve. Cape Town - An iconic, vibrant city surrounded by mountain and sea. Cape Peninsula - Visit Cape of Good Hope and the resident penguin colony. Stellenbosch - World renowned vineyards overlooked by stunning, rugged mountains. Tsitsikamma National Park - A marine and forest park in the heart of the famous Garden Route. Hermanus - The best place in Southern Africa to admire the humpback whales (in season). Botelierskop - A reserve home to rhino, buffalo, giraffe and orphan predators. 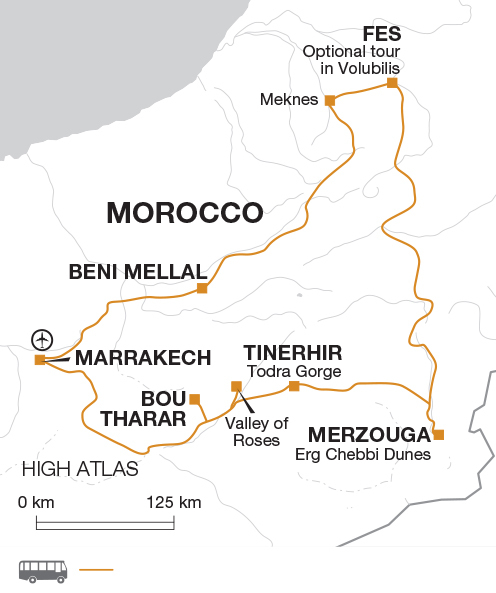 Discover the highlights of captivating Morocco on this fast-paced, adventurous trip. From the iconic imperial cities of Marrakech, Fez and Meknes, with their vibrant souks, medinas and ancient Roman ruins, to the golden sand dunes of Erg Chebbi and the friendly Berber villages in the Atlas Mountains, this trip provides an excellent introduction to a charming, exotic country. If you're interested in a group tour through Africa for the ultimate solo adventure, give us a call at 604-736-7447 or end us a message through our website by selecting the 'contact us' button!